News related to either Space or Technology. NASA’s Swift satellite has beamed back a new image of Andromeda, our neighboring galaxy, in one of the highest-resolution views of a spiral galaxy ever attained in the ultraviolet, the agency announced this week (click on the image below for the full version). It seems that the scientists were able to reconstruct various images viewed by a person just by analyzing changes in their cerebral blood flow. In the process using a functional magnetic resonance imaging (fMRI) machine, the researchers at first mapped the blood flow changes that occurred in the cerebral visual cortex as subjects viewed various images held in front of their eyes. Subjects were shown 400 random 10 x 10 pixel black-and-white images for a period of 12 seconds each. While the fMRI machine monitored the changes in brain activity, a computer crunched the data and learned how to associate the various changes in brain activity with the different image designs being viewed. Here’s a PC case mod that is truly to die for if your a ‘Battlestar Galactica’ fan. This is a liquid-cooled work of art that has a numerous video screens, a side window hidden by a servo-controlled door, and a slot-loading DVD drive that lets you see its disc spinning through its semi-transparent front. When roboticist David Hanson thinks of the future, he fears that man will accidentally create a super-sentient artificial intelligence that is heartless and clinically insane. 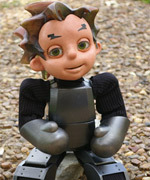 So to save the world, he formed Hanson Robotics and built Zeno, a 17-inch robot boy, who smiles, laughs, recognizes your face and remembers your name. 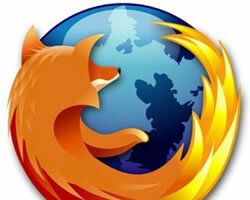 In the first 24 hours the web browser was available the software was downloaded more than 8 million times, says Mozilla. Statistics from the download servers are being scrutinised to produce an official figure that will be passed to the Guinness World Record organisation.